Modern medicine has more in its roots than we have collectively dug up yet – solutions to society’s most horrific medical problems. New inventions being developed help to shed more light on groundbreaking medical marvels. Patients can access better services with each of these advances in research. Among some of the useful inventions is the use of stem cells for medical therapies. Stem cells have gained more popularity in the medical area due to the width of their usage areas, from newborn babies, the youth, and the elderly; almost everyone is a primary beneficiary. Stem cells have brought hope to many patients suffering from life-threatening diseases. Also, parts of the human body previously considered trash are now proving useful. The umbilical cord and placenta are a perfect example. Research has encouraged more preservation of stem cells from these parts. Blood cells extracted from umbilical cords have been essential in providing useful information for medical research. Cord blood stem cells have contributed to the reduction of malignant and non-malignant diseases. Through successful transplants, many conditions have been eliminated. Some of the common disease treated by the transplants include; anemia, sickle cell, and even variants of stroke. Also, mental disorders such as Parkinson and Alzheimer’s are among the many that are becoming more controllable. The stem cell works by regenerating and repairing vital cells in the human body. Bone marrow transplants represent another way that stem cells are proving useful in medical therapies. The procedure involves donations from willing donors. It is a risky procedure that may result in the infection of the donor or recipient in the process. Also, bone marrow cells may have HLA antigens that can cause reactions. These reactions can be fatal for the recipient if not well managed. A lot of ethical issues present themselves as a major challenge to some technologies clearly set to change a lot of lives for the better. The use of children’s cord blood stem cells requires parental consent. Also, many people consider the use of placenta and umbilical cord as “dirty”. As a result, it derails the acceptability of the practice in society. Moral and religious holds often impart negative perspectives to the practice. In some cases, they associate the practice with in-vitro fertilization and cloning. 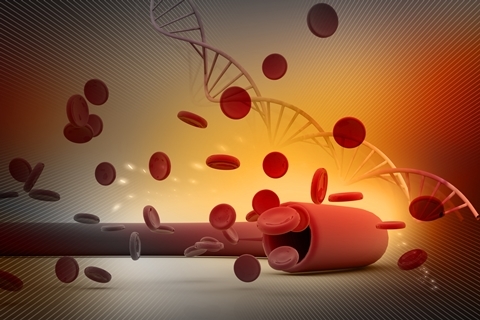 The use of blood stem cells and related technologies is proactive medical insurance. Technologies developed to preserve cord stem cells improve their longevity. These well-maintained cells are essential in time of medical emergencies. The ability of the stem cells to repair and rebuild offer a unique opportunity for medical use. Families will have better security over their health, and it allows for improved healthcare planning. Further concerted research in the practice has promoted the use of cord stem cells. The relative ease in accessing these cells make them more convenient. Also, using cord obtained stem cells is cheaper and less painful than bone marrow transplants. The patients will be more secure and avoid possible infections. Using cord stem cells will allow more people to have healthcare options.